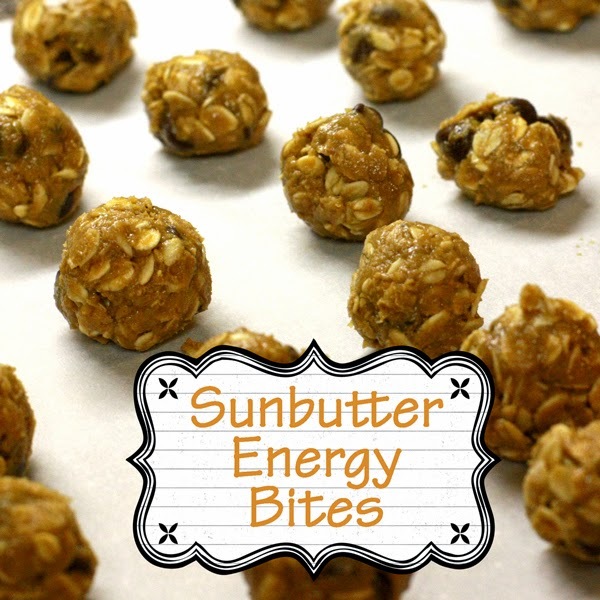 These energy bites are irresistible! When I make them, more go in my mouth than into the dish. They are the perfect little pick me up and touch of sweetness. 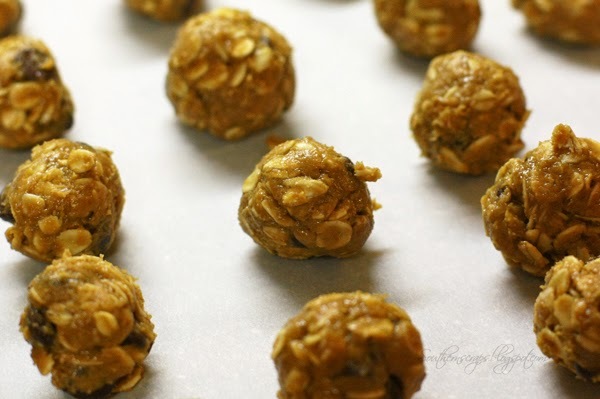 They are also "no bake" so you don't have to heat up the oven during the hot summer. Most people make them with peanut butter, but if you have a nut allergy or just want to try something different, try Sun Butter (affiliate link here). Like I said, I have a hard time not eating them all at once, so I doubled the recipe I was using. Here's my double version (you can get 3-4 dozen this way, depending on the size you make them). Just mix it all together and put it in the fridge to set a few minutes. Then roll into bite size balls. Yum! Yum! I have never tried sun butter but these look great! Visiting from Inspire Me Wednesday because "Sunbutter" caught my eye! Love that stuff! Do you think there's anything I could sub for the flax seed meal? Flax upsets my stomach. Yummy! Love anything no bake! Thanks for sharing at Show & Share last week! Featuring this as my favorite! Hope to see you tomorrow!